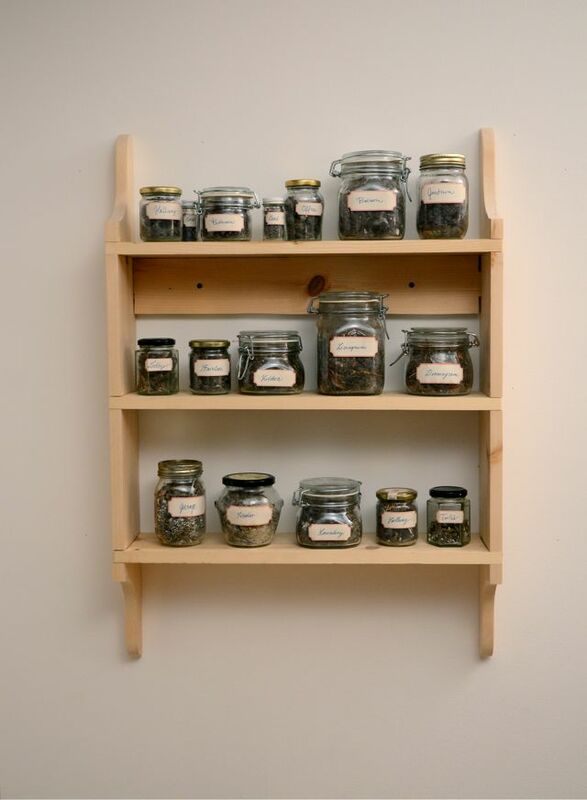 Homemade is series of works that look at the domestic environment from perspective of things which are commonly eliminated, prevented and discarded. It uses and utilizes dust, decay and undesired destructive elements of nature within the dwellings to investigate the mechanisms of creating cultural environment. 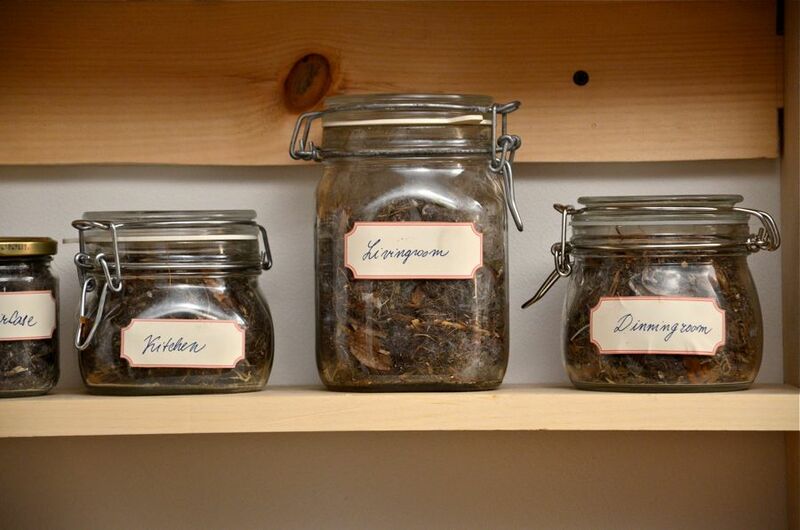 Homemade is an installation created from dust collected in the house where the artist lives for the duration of one year. In each room the dust was swept every couple of days and kept separately in a jar. 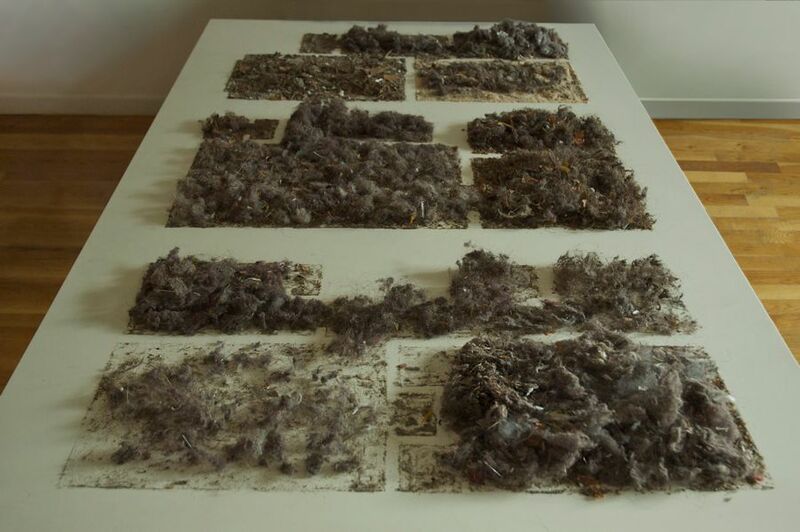 The installation represents floor-plan of each floor where the rooms are created from the dust collected at the particular location over the period of one year. 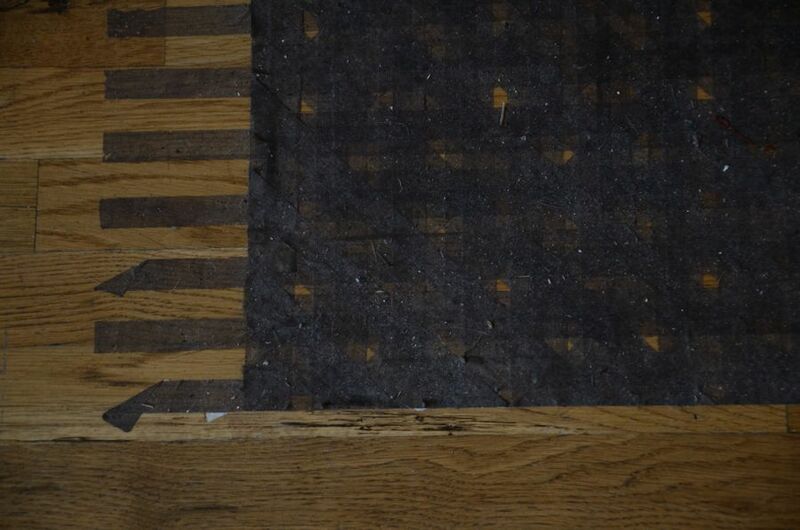 Site specific installation created from double – sided tape and dust accumulated over a period of time. The twelve layers of tape are gradually added to created waving like structure after they accumulate the dust from its surrounding. 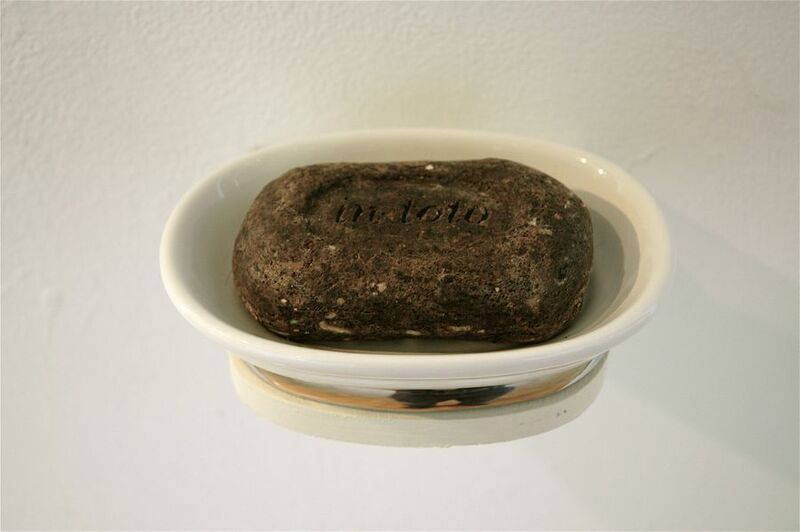 Soap made from soap, dirt and dust, oxymoronic piece which makes possible to get dirty and clean at the same time. 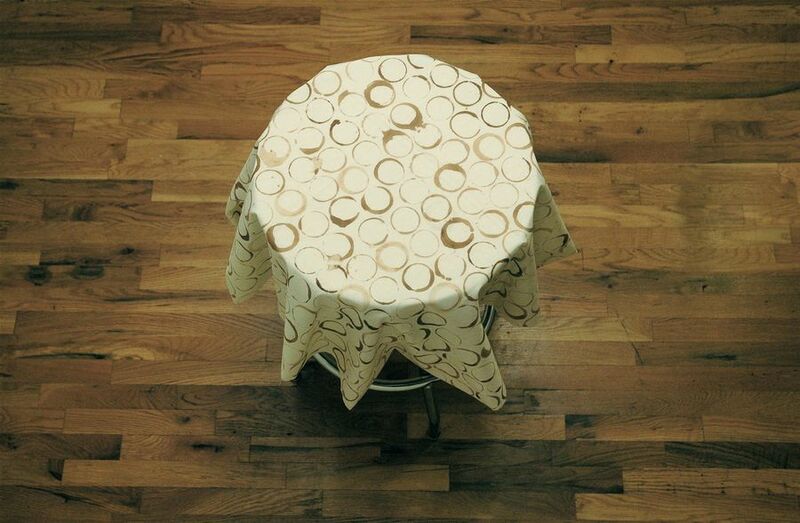 “The Same and Not the Same” consists of two white circular tablecloths stained with coffee. 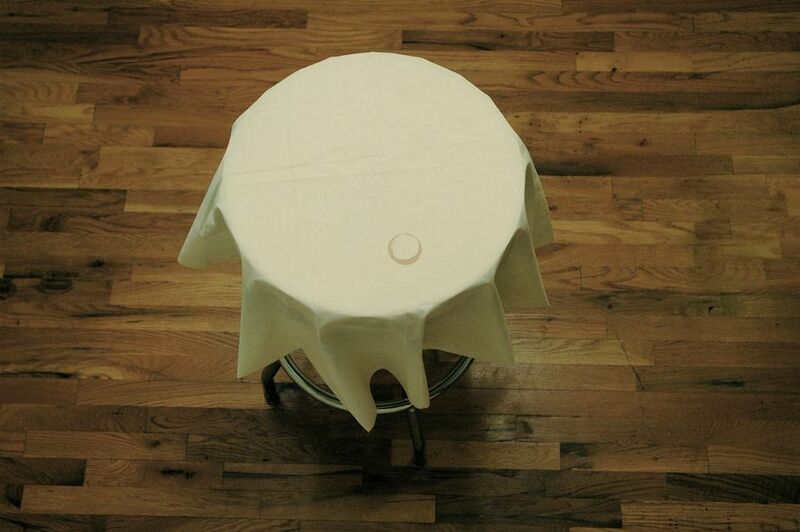 First piece, has a single circular stain of a coffee cup. 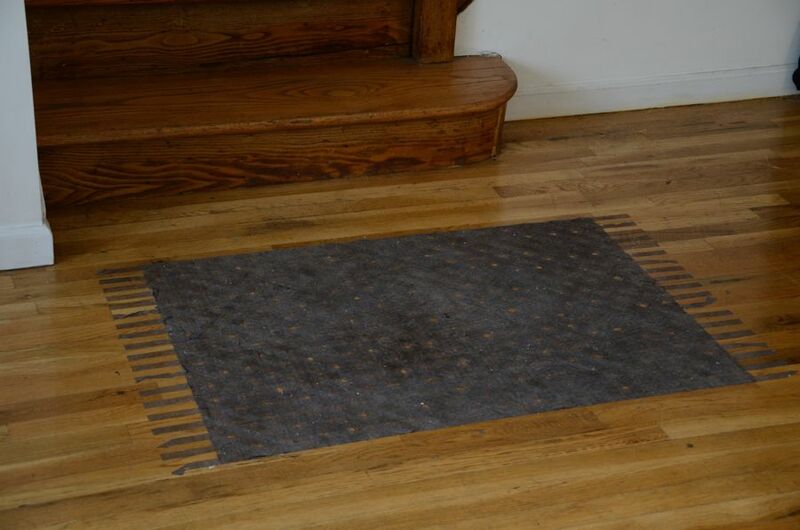 The second piece is completely covered with stains forming a regular pattern of circles.The piece reveals itself in two steps, each piece giving a different perception of the same. While the single stain appears as mistake and violation of the order, in the other situation the very same element repeated again and again sustains foundation of the order it self. The repetition bows the perspective and the very same thing is perceived differently. The single stain encountered as dirty and disgusting by multiplying and forming patterns suddenly turns into something esthetically pleasing even decorative. The Same and Not the Same follows the strategies of continual repetition being used in the politic and advertising to control political systems and sell commodities. Despite the fact that the promoted may not be true, unpopular political solutions become widely accepted and things, which are not needed, are sold successfully when their favourable effect is promoted over and over. Series of photographs made after visiting friends while walking barefoot in their apartments.